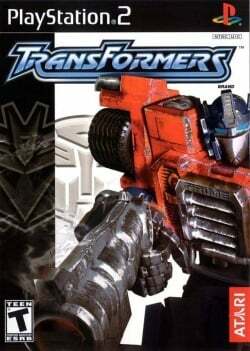 Game description: The war between the Autobots and Decepticons rages on in this intense action game. With defeat at hand, the last hope for the Autobots lies with the powerful Mini-Con robots, the lost Transformers race stranded on the Earth. To retrieve the Mini-Con, the Autobots must head into battle against the Decepticon leaders and their massive new Decepticlone Army. Transformers features fast-paced action with numerous power-ups, challenging enemies, action-packed battles, and intense boss fights against the legendary Decepticon leaders. The game is based on the Transformers: Armada animated series. Runs above full speed., Draw distance bug in gsdx hardware mode. Looks fine in software mode. • Enable Alpha hack to fix some shadows in DX11 HW • Enable 8-Bit textures for a speed boost • Requires a fast CPU This game suffers from different shadow problems depending on your mode of choice. I could only get around 40FPS and overall I found that DX11 HW offered the best speed with the least amount of issues. USA v02.20(10/02/2006), Standard hacks, Littles Gray lines can appear in hardware mode,software mode is fine. • Set TC Offset X to 563 and Y to 221 to fix alignment issues on the edges of the screen. • Set skipdraw to 4 to fix blurry screen, luminous character shadow and other bugs. • Most shadows only work with software mode. • Some post processing effects like fog don't work. • Ground that's near you has rendering bug. • D3D11 > OpenGL > D3D9 in terms of graphical glitches, but OpenGL has better colors. • Use Alpha fix with D3D11 to remove stripes. • Use Disable Depth Emulation fix with OpenGL. • -1 EE gave me a speedup without side effects. • Disable MTVU when loading into game. In-game it can be turned on again for more fps. Not to be confused with The Transformers: Call of the Future (known as just Transformers) and Transformers: The Game. This page was last edited on 1 December 2018, at 16:03.